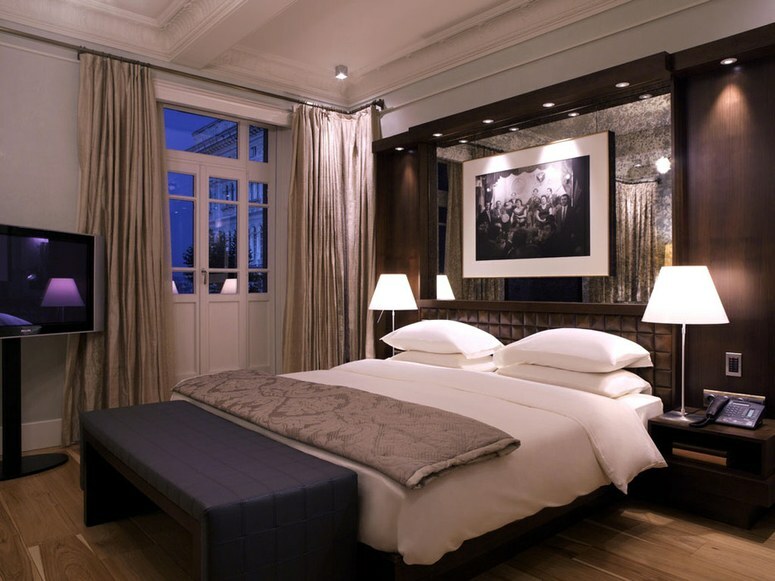 Park Park Hyatt Hotel Istanbul - Macka Palas is one of the most famous and most beautiful buildings in Istanbul, situated in the fashionable Nigantagi quarter, close to some of the city's finest restaurants, clubs, boutiques, and fashion houses. This is why the Hyatt Corporation, which manages more than 365 hotels in 45 countries, decided to turn it into the luxury Park Hyatt Istanbul Hotel. The Art Deco architecture of this Turkish hotel recalls in part the elegant palazzos of Milan, which is unsurprising considering that the building was designed in 1922 by Italian architect Giulio Mongeri, who drew his inspiration from the cities of his native Italy. New life has been breathed into the old building by the American designer Randy Gerner (of Ger- ner Kronick + Valcarcel in New York City). Gerner’s brief was to create interiors that exploited the rich history of the Art Deco era while fitting the hotel with all the latest hi-tech amenities. This complex mix of old and new (such as images from traditional Turkish art inlaid on modern furnishings in classic walnut and bronze) creates the hotel's unique atmosphere and is guaranteed to delight guests with its combination of lofty style and comfort and convenience down to the last detail. The hotel’s guests can enjoy the largest rooms in the city: there are 90 rooms measuring 59 square metres, as well as seven suites, and the Presidential, Diplomatic, and Business Apartments. Each room is equipped with Internet access, telephone, flatscreen TV, DVD player, and JBL i-pod docking system. 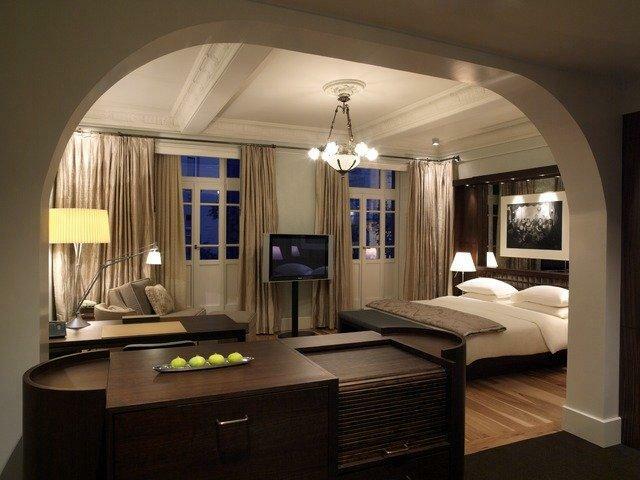 Of course, the Park Hyatt Istanbul—Маckа Palas boasts not only splendid interiors, but also its superb restaurants. The Palas Lounge is ideal for coffee and the superb range of beautifully prepared Park Afternoon High Desserts, while Prime, the hotel's main restaurant, offers chargrilled steaks and seafood. The Wine Lounge also promises to be one of the city's top meeting places, with its huge range of vintage wines and champagnes. It has the perfect atmosphere for relaxing after a hard day's work or to take a break from sightseeing and shopping with a glass of fine wine. Talking of which, there are Emporio Armani and Gucci boutiques located right on the ground floor of the hotel. Finally, in summer, guests will be able to enjoy food and drink on the huge, split-level terrace, with private booths separated by bamboo trees. In the evenings, the terrace will play host to live music, with lighting from burning torches. In the winter months, the best place to relax is the exclusive spa—open only to guests of the hotel—which includes separate sections for men and women, two saunas, three treatment rooms, a relaxation room, and gym. 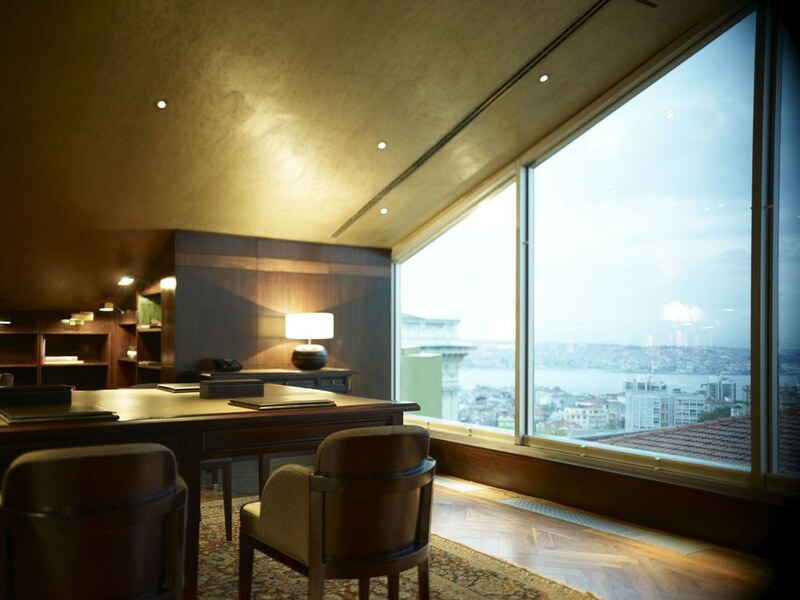 Although Park Park Hyatt Hotel Istanbul - Macka Palas is a small and highly exclusive hotel, it manages to house absolutely everything that either tourists or business travellers could ask for on a trip to Istanbul.